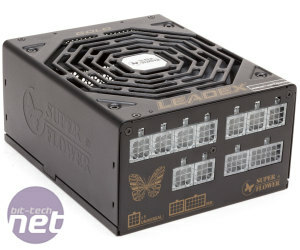 The Super Flower Leadex Gold 650W is a bit of an odd duck, as the only way to get one is if you purchase it from Overclockers.co.uk, and they’ll charge you £80 for the privilege. That’s steep, so this puppy had better perform like a trained thoroughbred. Fortunately, it does not disappoint. 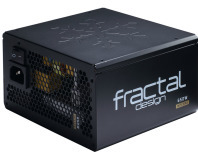 Starting with the basics, the Leadex is fully modular and all cables have been sleeved using mesh material. The cables are all quite long, more than sufficiently so for any standard case layout. Super Flower includes a frankly crazy amount of connectors: five molex, ten SATA (! 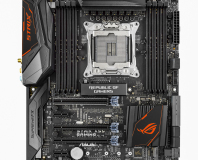 ), and four 6/8-pin PEG, plus of course 4- and 8-pin CPU. It is the only model in the test that is semi-passive, meaning the 140mm fan will only spin up if temperatures demand it. 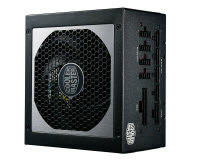 You can select whether to use this, as the PSU has two running modes, ECO and Auto, one being semi-passive, the other not. In Auto mode the fan keeps spinning, but produces pleasantly little noise: we measured 30.6 dB(A) at 500 watts load. 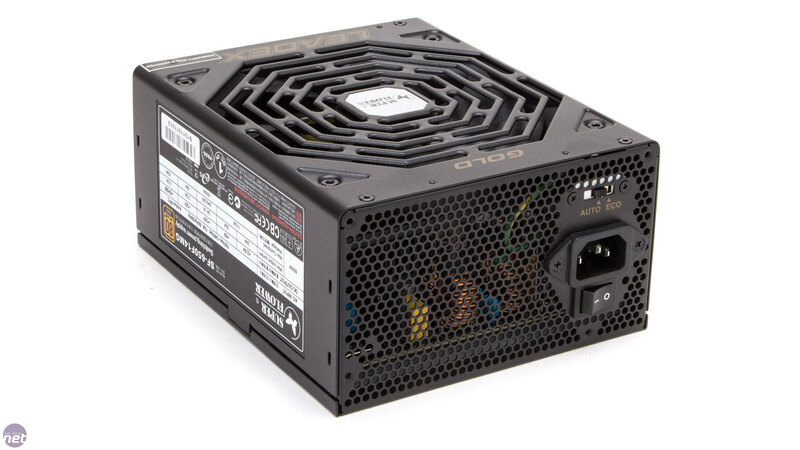 In ECO mode, however, this PSU is truly silent, producing as little as 19.2 dB(A) at 300 watts – basically the ambient noise in our testing environment. At 500 watts load, we measure just 23.4 dB(A), which is still practically inaudible and makes it the quietest PSU on test. 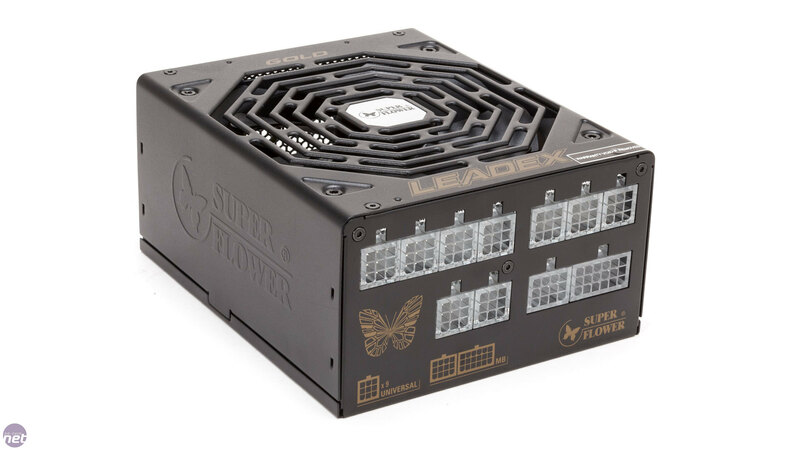 Clearly, the Super Flower Leadex Gold 650W is quiet, but can it also perform? 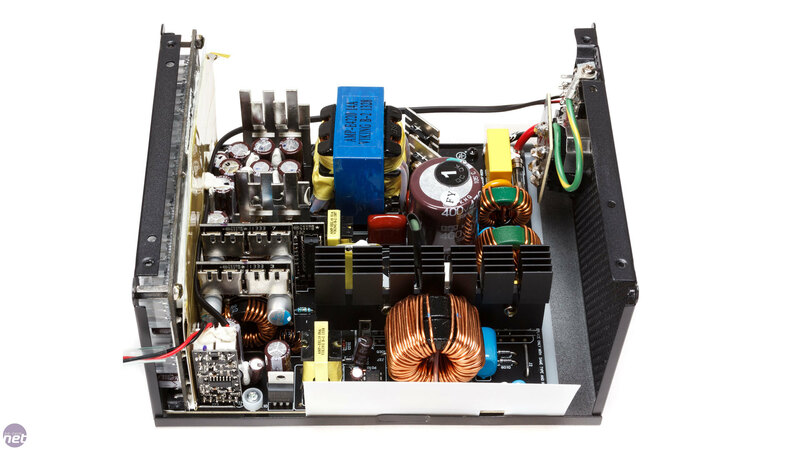 It claims to be able to deliver 54.1A on its single 12V rail, which is more or less equal to the Be Quiet! 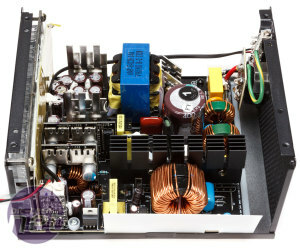 Power Zone 650W and more than any other model in the test. It delivers on its promise with aplomb, with voltages stably above 12V up to 500W, where we see a slight dip below the 12V barrier, but still well within spec. Meanwhile, the ripple measurements show excellent values, never exceeding 15 mVpp. As for efficiency, it only places fifth overall with 89.16%, but the top of this chart is crowded - it's less than 0.5 percent away from the number one. 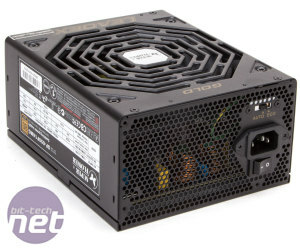 It may cost £80, but the Super Flower PSU is modular, very well connected and comes with excellent electrical characteristics too. Chuck in the fact that it's semi-passive and capable of what is essentially silent operation up to and including 500W of load and you've got yourself a fantastic product.